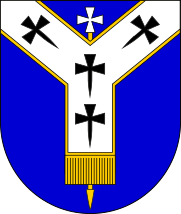 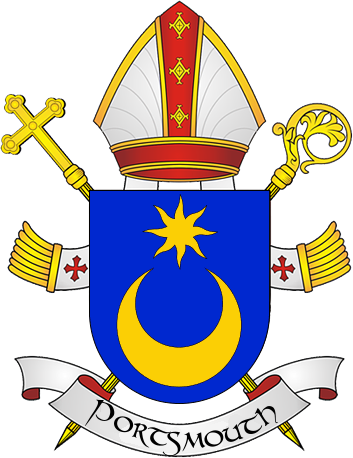 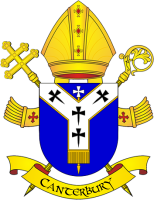 Azure, an episcopal staff in pale or, ensigned with a cross pattée argent, surmounted of a pall of the last, edged and fringed or, charged with four crosses pattée fitchée sable. 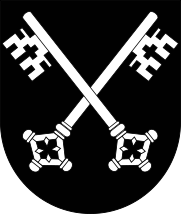 Gules, two crossed keys argent, a crown or in chief. 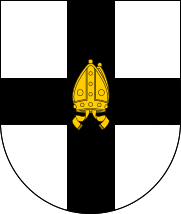 Argent, on a cross sable a mitre or. 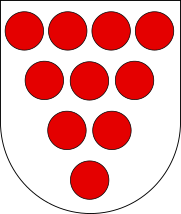 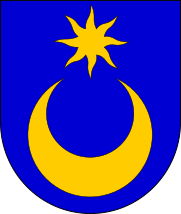 Argent, 11 lozenges gules arranged per cross, in the first quarter a mitre of the same. 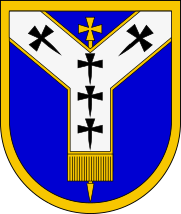 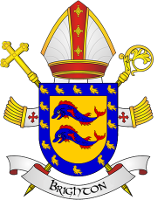 Azure, a bordure or, an episcopal staff in pale argent, ensigned with a cross pattée or, surmounted of a pall of the second, edged and fringed or, charged with five crosses pattée fitchée sable. 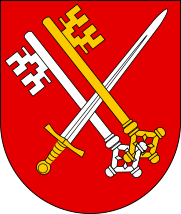 Gules, a stag statant guardant or. 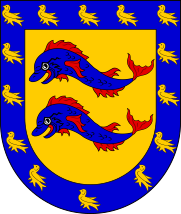 Ermine, a lion passant reguardant gules. 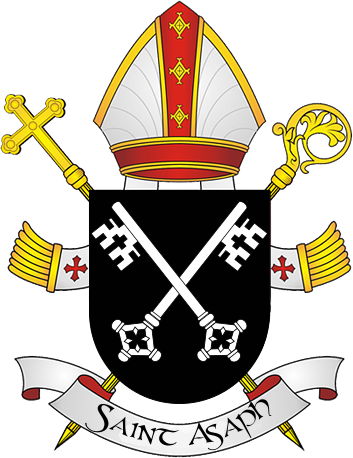 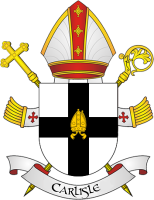 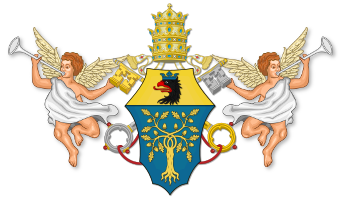 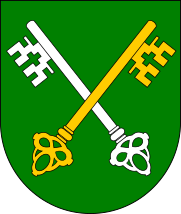 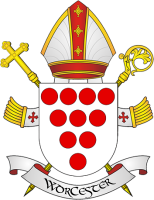 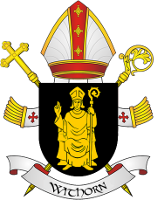 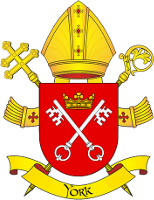 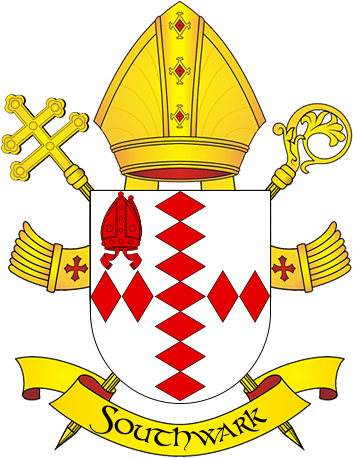 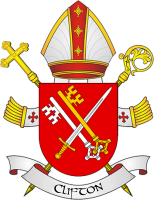 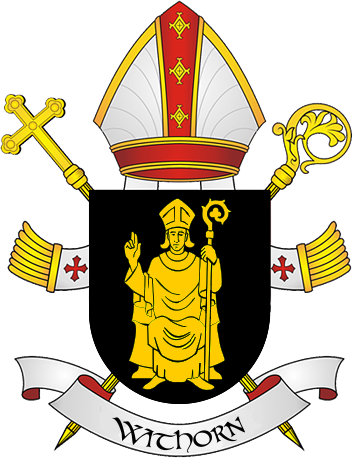 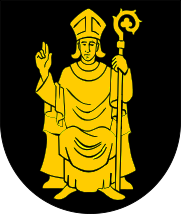 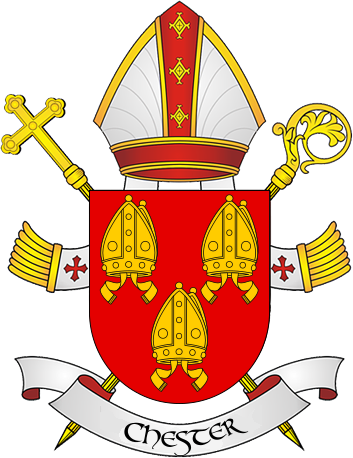 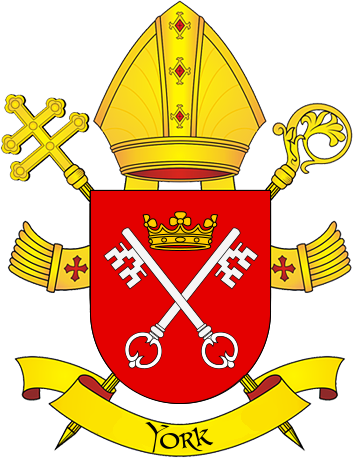 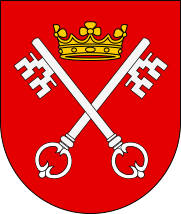 Sable, a bishop proper, on a chief argent a cross of the field. 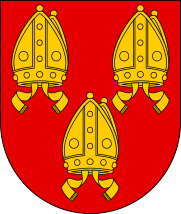 Azure, a broken wheel or. 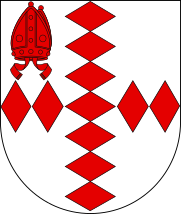 Argent, a chief wavy sable, in base a branch of ash vert . 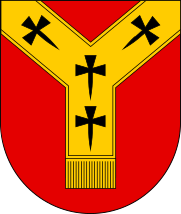 Gules, a lamb or bearing a banner of the same, on a chief of the same a cross of the field.